An Aeon is an item of magical energy that is used to cast spells. 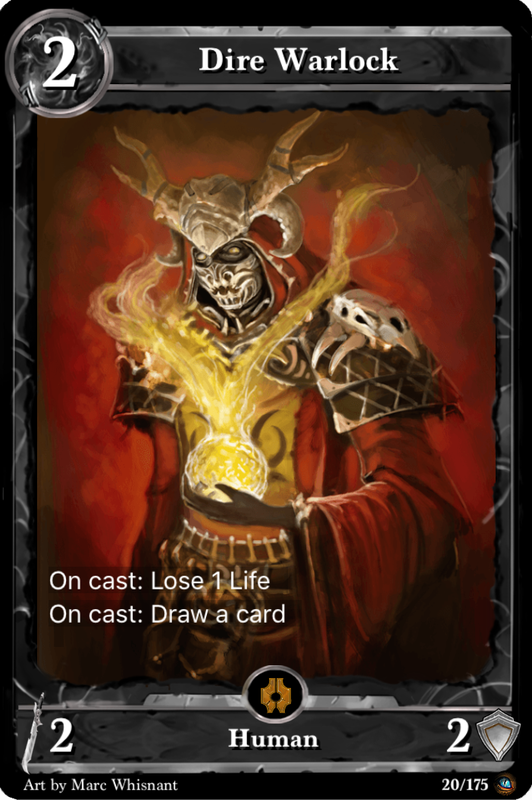 Aeon cards provide the resources you need to cast other cards. You discard an Aeon card to add one or more units of aeon energy (i.e., mana) to your Aeon Field. 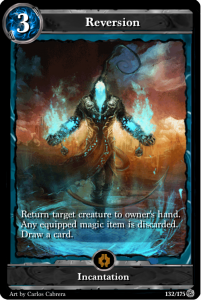 Most cards have a casting cost that require a specific number of aeons in your field, which are then used up until the start of your next turn. Aeon cards are also used for certain creature abilities that are activated by playing the Aeon onto that creature. A wizard summons creatures onto the battlefield to provide protection and to attack the enemy player. 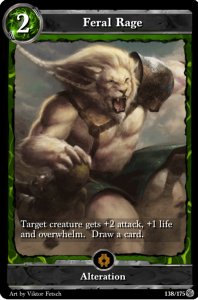 Creature cards are played into one of seven slots on the battlefield. Each creature has an attack value (bottom left) and life (bottom right). 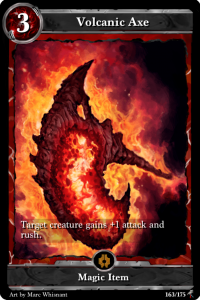 Each creature attacks every turn except for the turn they are brought into play. 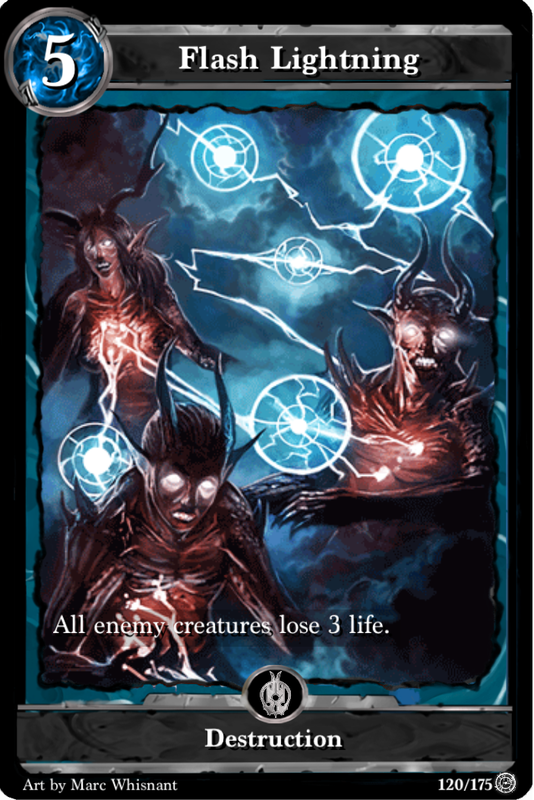 The rush ability and certain spells/effects can remove their summoning fatigue so they can attack the same turn they come into play. 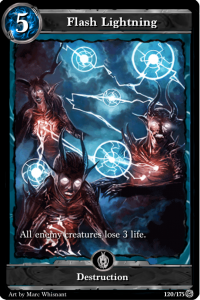 Creatures can have different abilities that take effect when cast, on death or at other times. 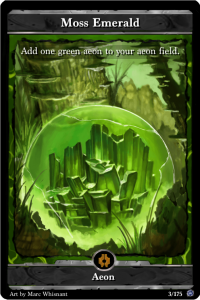 Some of the more common abilities are given keywords, such as regenerate, hidden and overwhelm. Magic items can be cast into an empty creature slot, or onto a creature. 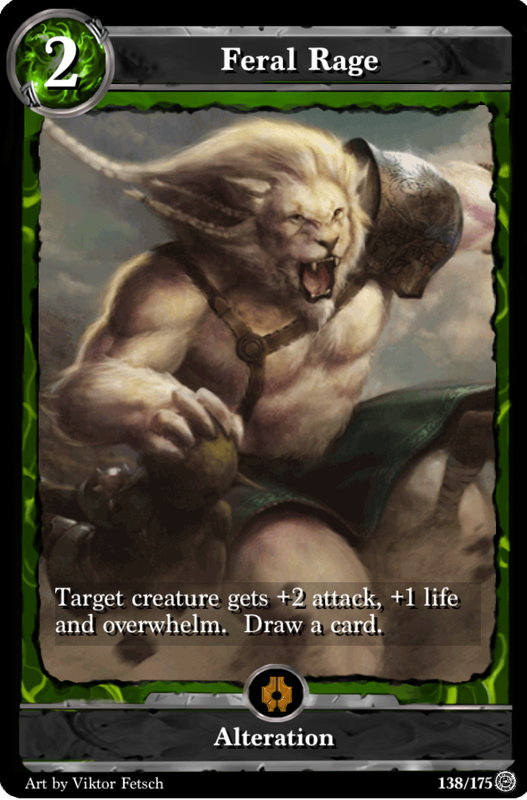 A creature that is equipped with a magic item gains attack power, life and/or other abilities as described on the card. When a creature dies, the magic item will return to play, unless another magical effect destroys the magic item as well. 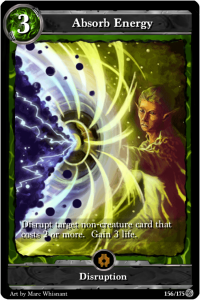 An alteration spell modifies one or more creatures, changing their attack, life or abilities. 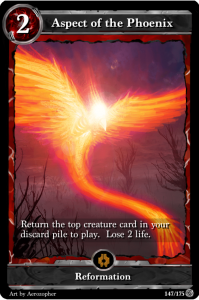 A destruction spell damages one or more creatures and/or players, causing them to lose life. 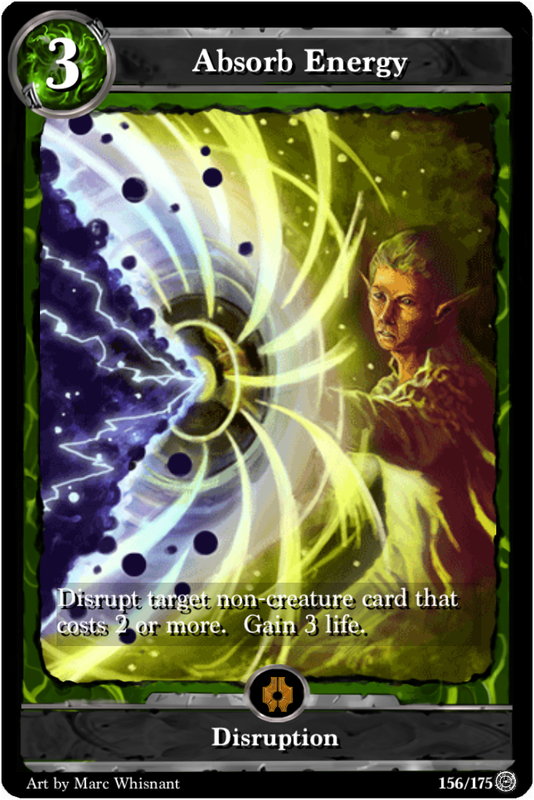 A disruption spell is automatically cast from your hand when the enemy casts a matching spell and you have the aeon energy to cast the spell. 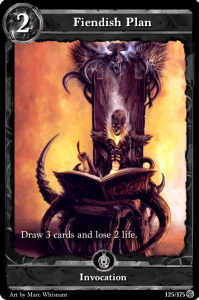 Incantation spells can cause various effects such as forcing a player to discard a card, returning a creature to the player’s hand, gaining control of an enemy creature or copying a creature. 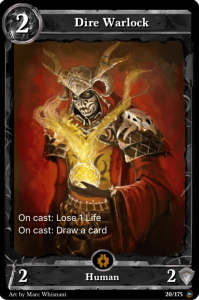 An invocation spell allows the player to draw cards from their deck. 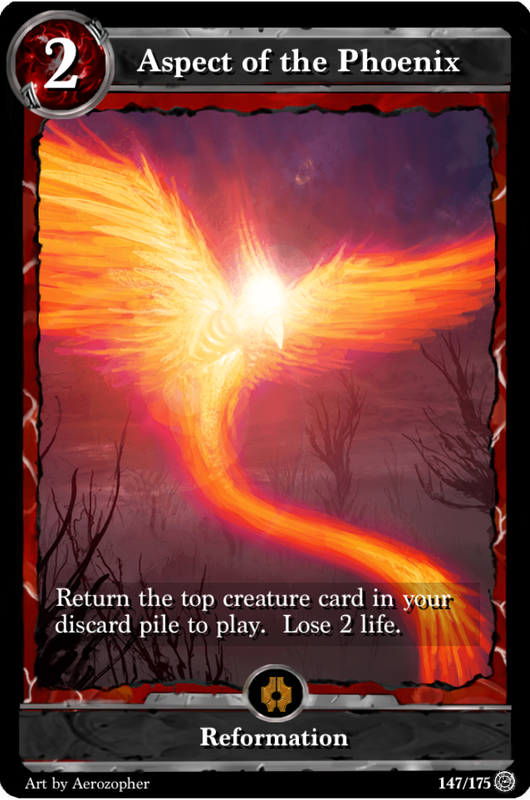 A reformation spell returns one or more cards from the player’s discard pile to hand or to play.